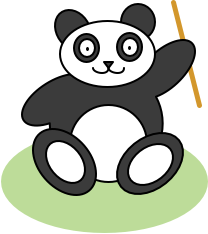 Panda is a PureScript UI library for building declarative front-ends without a virtual DOM. To achieve this, dynamic events are specifically labelled and configured to produce specific event listeners, and updates are localised to the tree underneath. For a full example, see the examples directory. I'll try to add more documentation in the coming days, but this is very much alpha software right now.